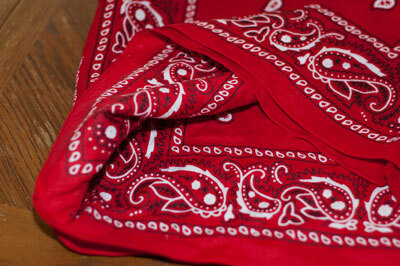 Place right sides of two bandannas together. 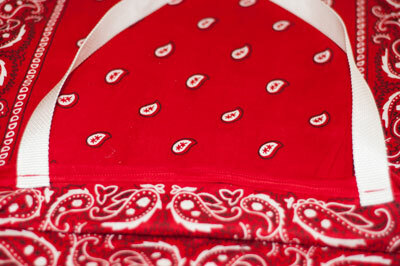 It may be hard to tell which is the right side on some bandannas so use what you think looks best as the right side. Sew along three sides leaving one side open. 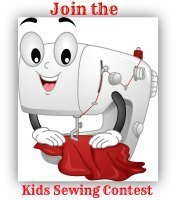 Sew the other two handkerchiefs together following the same directions. One piece will be the inside of the bag the other will be the outside. Turn one bandanna right side out. Place one bag inside the other. Wrong sides will be together. Smooth out corners and sides. The right sides should be seen on the inside and outside. Turn the top edge of the handkerchiefs over 1 inch for a hem. 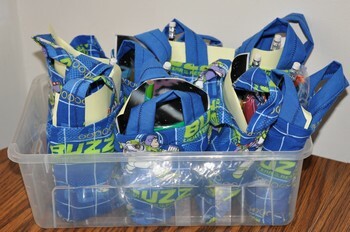 Cut two 28 inch webbing and pin each handle on each side. Sew handles in place. 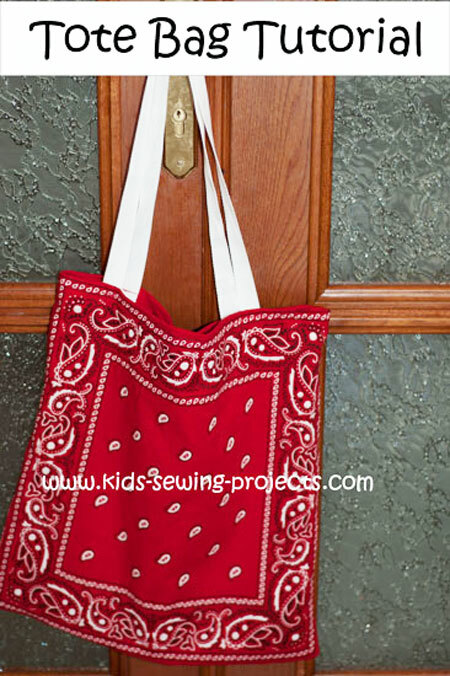 You can use these directions to sew a tote bag with a lining using any type of material. 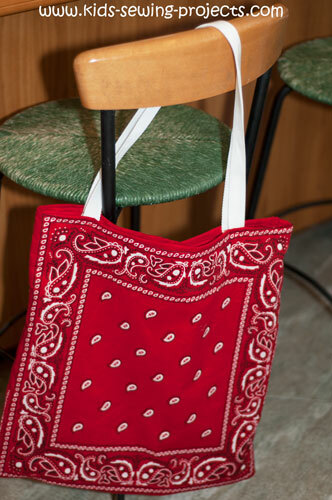 Use a bandanna as your pattern to measure the length and width of your material. 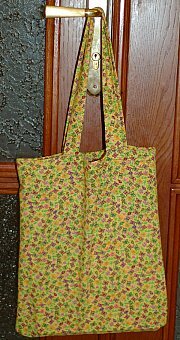 A fun variation of how to sew a tote bag with an inside lining. Two pieces of coordinating fabric at least 24"x10" (or at least 3" bigger than the dimensions of your netbook), one for the outside and one for the lining. One piece of batting 24"x10"
Three strands of satin cording 2 yds. 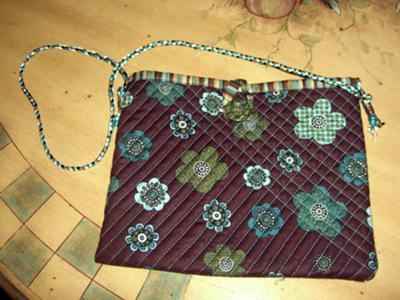 long each for the shoulder strap. Beads to decorate shoulder strap. Layer the batting between the two pieces of fabric with the right sides facing to the outside (like a sandwich). "Quilt" the layers together, starting at one corner and making rows of stitching 1/2" (or the width of the presser foot)apart. Quilt across again going the opposite way so you are creating a grid of small squares. Go only halfway across this time. 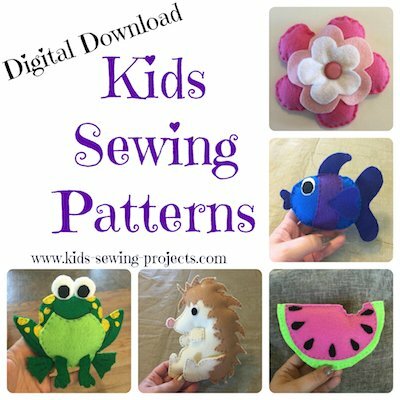 Fold fabric in half (with the outside fabrics facing each other) so you have an envelope-shaped rectangle and sew down the side and across the bottom, leaving the top open. Zig-zag the raw edges together. Turn bag right side out. Sew bias tape around the top open edge to enclose the raw edges and give it a finished look (or make your own from the lining fabric). 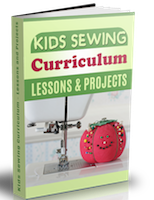 Sew a large button on the front. Turn in 1/4" on the raw edges of the 7" x 1 1/2" piece of lining fabric. Press. Fold in half with wrong sides facing each other and press again. Sew close to the edges all the way around. Fold in half so you have a loop to go over the button. Lay the loop centered on the inside of the bag with the loop pointing out away from the bag and the two ends overlapped on top of each other. Stitch back and forth across the two ends to secure them along the seam line of the bias tape. Knot the three strands of cording together leaving about 3" of cording free and pin to something to hold them in place while you braid them together. Tie off the end when you finish braiding leaving about 3" of cording free. Thread some beads onto the 3" pieces for decoration and knot at the ends to old the beads on. Slip your netbook into your case, secure the loop over the button and you're on your way in style! 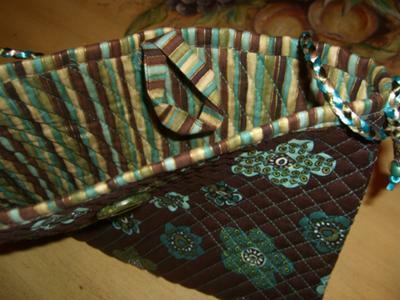 *Can also be used as a purse or travel portfolio for art supplies. 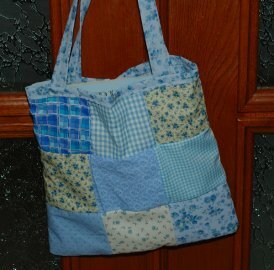 On to more kids sewing projects from Sew a Tote Bag.